Fully networked systemControl, configuration, and status monitoring via LAN. 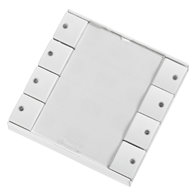 Easy system configurationConfigure over LAN or via front-panel USB connector. Remote monitoring via LANAV system monitoring from central room or remote site via web server. 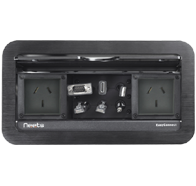 Turn projector on and select source with one buttonFast and foolproof presentation start-up. Automated preventive maintenanceBulb and filter hours reported via e-mail. 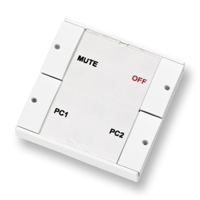 LED status indicationIdentifies active source or function. 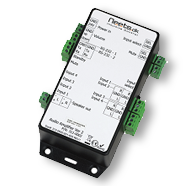 Four programmable control buttonsProgram features to exact requirements. 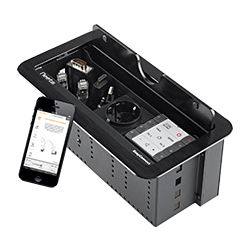 Fast and easy installationFits in standard wall outlet box (DK or EU). 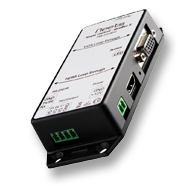 Bi-directional RS-232 and dedicated I/OControls projector as well external devices. Categories: EasyConnect, Neets, 4 button, iPad/Android Control. Until now, many schools have chosen not to specify a permanent AV control system due to the high costs for the hardware, programming and installation. Unfortunately, this often results in wasted time and frustrated instructors. Teaching staff must rely on supplied IR remote controls, but these are often misplaced or fail to function because of damage or dead batteries. Also, when the instructors use different projector models installed in multiple classrooms, they must remember different IR control button layouts. 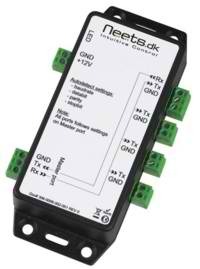 Neets Control – OsCar provides an elegant solution. 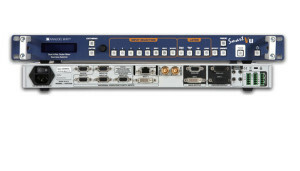 Although simple in both appearance and function, it provides powerful configuration and networking features for exceptional flexibility, centralized control and convenient monitoring. In schools, universities and corporate installations, OsCar provides uniform AV control interface in all rooms, making class sessions or meetings more efficient and more productive. 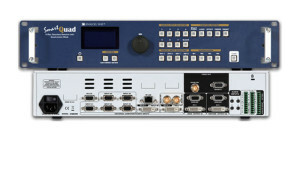 A fully networked system, OsCar uses a LAN connection for configuration, monitoring and – when desired – control of systems in multiple rooms from a central computer. Configuration is simplified, and is accomplished using only a few pages in Neets Project Editor software. 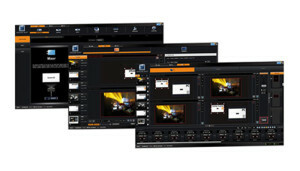 Our constantly updated device driver library makes it easy to select the device you want to control, and allows addition of more devices at any time. In addition, our Central Control software supports preventive maintenance with e-mail reporting (to multiple addresses if desired) of projector bulb and filter hours. By combining innovation and simplicity, OsCar offers both less and more. 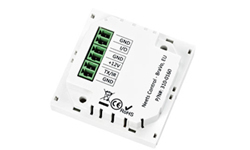 Compared to other networked systems, it is less expensive, takes less time to install, and is less confusing to use. 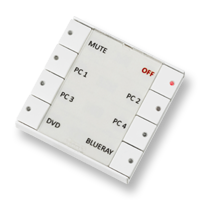 A simple and intuitive four-button panel is all you need for one controller in one room. 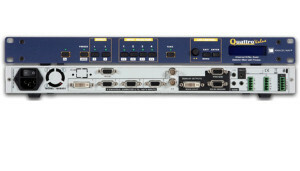 At the same time, Neets Control – OsCar offers more versatility, more flexible connectivity, and more monitoring options than other systemsof comparable cost.